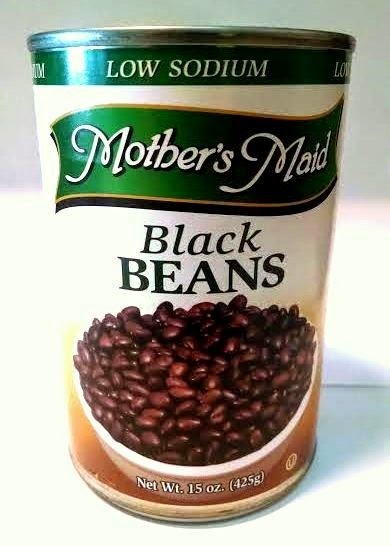 GSFB Network: We are Excited to Offer Black Beans! We are Excited to Offer Black Beans! Black beans are a protein-rich super food! They have 15 grams of protein in a single serving of ½ cup, the protein equivalent of 2 eggs. One serving of black beans also provides nearly 15 grams of fiber, over half the daily recommendation. Black beans provide special support for digestive health and can lower your risk of colon cancer. The dietary guidelines for Americans establishes 3 cups of cooked legumes per week as the minimum desired amount. We are working hard at Good Shepherd Food Bank to provide more of the foods we need to stay healthy! Recent research links bean and legume intake to lower risk of type 2 diabetes, many types of cardiovascular disease, and several types of cancer. They are high in Folate, Fiber, Copper, Manganese, and Vitamin B1. These inexpensive little beauties are a terrific way to stretch a meal. Canned beans are ready to go! Already pre-cooked, simply drain and rinse before using. 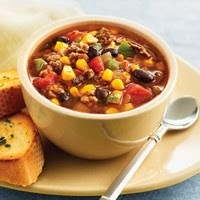 Black beans are a great addition to tomato-based soups or even just your regular can of Campbell’s to provide a more filling lunch. One great trick to bulk up and stretch a jar of your favorite salsa is to add black beans. Stir black beans into your plain brown rice, add some chili powder and cumin for a great side dish. They’re a terrific partner to your morning eggs! With a little imagination black beans can sneak into most meals we make to add that extra boost of protein and fiber! 1. Peel and mince garlic. Peel and chop onion. 2. Rinse carrots, celery, and apple. Peel and chop carrots. Chop celery and apple. 3. If using, rinse and mince cilantro. 4. Using a colander, rinse and drain black beans. In a medium bowl, add half the black beans, reserving the rest for later. Add tomatoes to the bowl. Mash together with a fork. 5. In a large pot over medium heat, heat oil. Add garlic, onion, carrots, and celery. Cook, stirring occasionally, until onion is softened, about 5 minutes. 6. Add chili powder and cumin. Cook, stirring, for 1 minute. 7. Add chopped apple, mashed bean and tomato mixture, remaining beans, broth, and corn. 8. Bring to boil. Reduce heat and simmer until vegetables are tender, 10-15 minutes more. 9. Stir in salt and pepper. If using, stir in cilantro now.